How Can I Have My Own Signup Page On BigMIND Partners? /Partners 2.0 (BigMIND) /Partners 2.0 (BigMIND) / Partners How To / How Can I Have My Own Signup Page On BigMIND Partners? As a BigMIND Branded Partner, you can allow your clients to sign up to your brand using one of the following three (3) options. These options can be found by navigating to Branding section of your Branded Partner account → Go to the Website tab → Scroll down to Sign Up Page section. This will redirect users who click on any signup button to the partner’s Contact Us page. They can communicate their request directly with the partner. Then, the partner can handle the request manually by offering plans and packages. 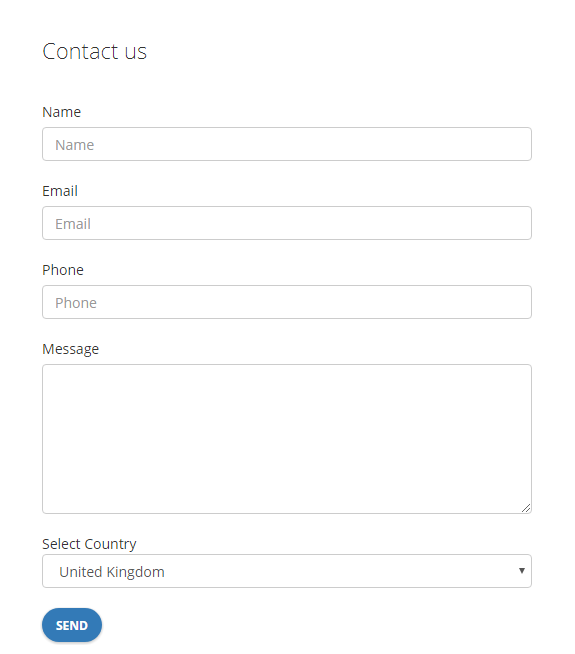 This way, whenever your clients try to sign up for an account with you, they will be redirected to your Contact Us page, and they will need to fill in the form there requesting an account. This will require the partner to create his own signup page and connect it to the Partners system through APIs. This will allow the partner the most flexibility in creating what his business model requires exactly. This is a very convenient option for partners who want to have their own signup page without any code programming hassles. It will automatically create a new signup page, branded with the partner’s logo, and can also give him the option to select the default plan that the users will get when they first sign up. 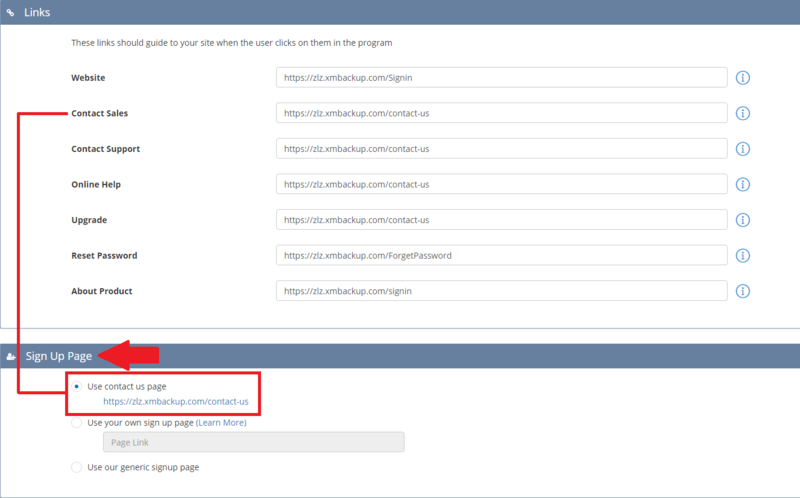 Signup default plan: This will set the default plan which the users will automatically get when they first signup. The default plan will be assigned to each new sign up. Subscription cost will be deducted from the partner’s balance. 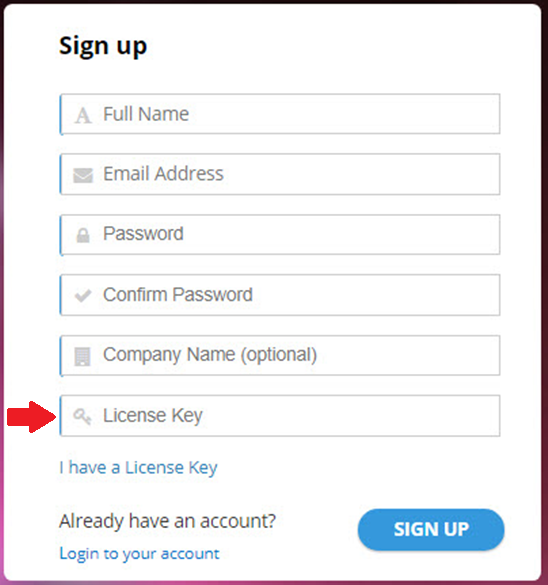 Allow sign up with licenses: This will show the option to enter and signup with a license key on the partner’s signup page. Users who use a license key on signup will NOT get the default plan, but they will get the license’s associated plan.